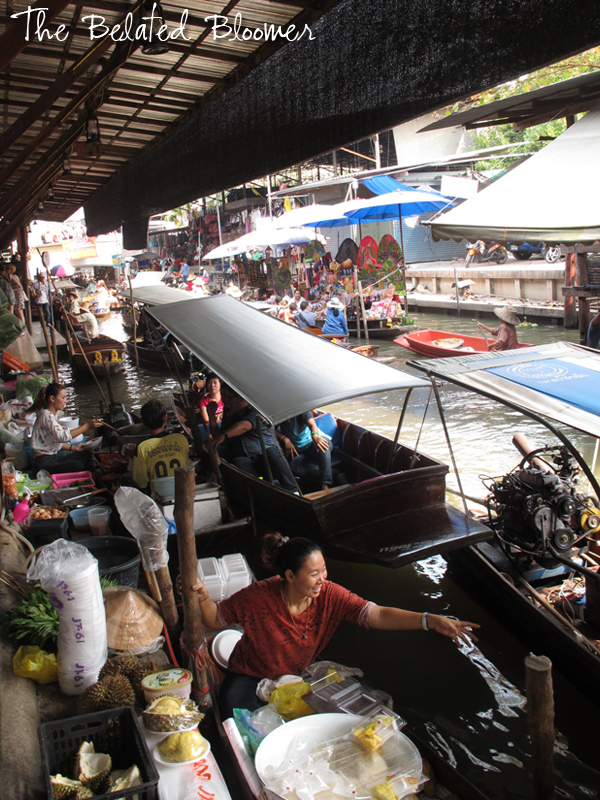 First, you have to pay 600 Thai Bhat per person for a 25-minute ride. Then they hand you a ticket and you get up that small fort on the left to get strapped in by an attendant with a tattered fabric belt that offers no assurance of holding you in if something bad happens. At that point, I was praying real hard that nothing would spook our elephant. 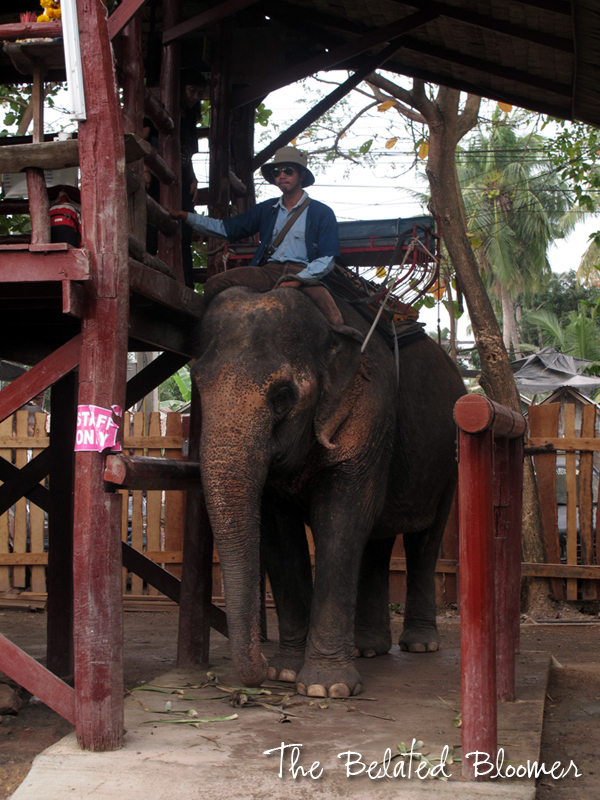 And that was me, halfway between laughing and freaking out because the bench balanced on the elephants back and you could feel its every movement. My sister is smiling there, but did you notice her grip of death on the side of the seat? The elephant driver (for lack of a better word) actually had us adjust a couple of times because my sister kept scooting to my side for fear of falling off. 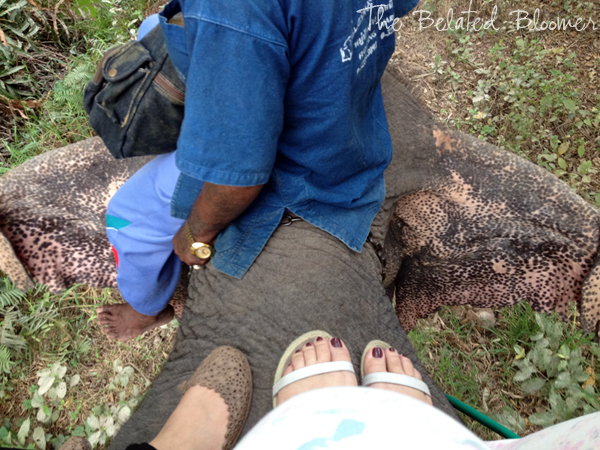 Have you ever wondered what the back of an elephant's ears look like? Well, wonder no more. 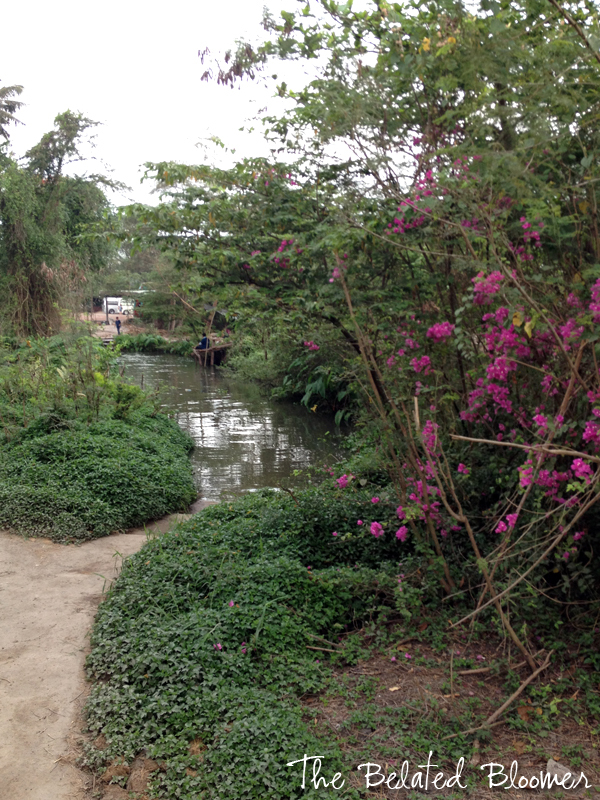 This is the pathway where the guy asks you if you want to take the plunge. To which, we happily answered yes! After the half-hour of ride, I wanted to end the experience on a sweet note. 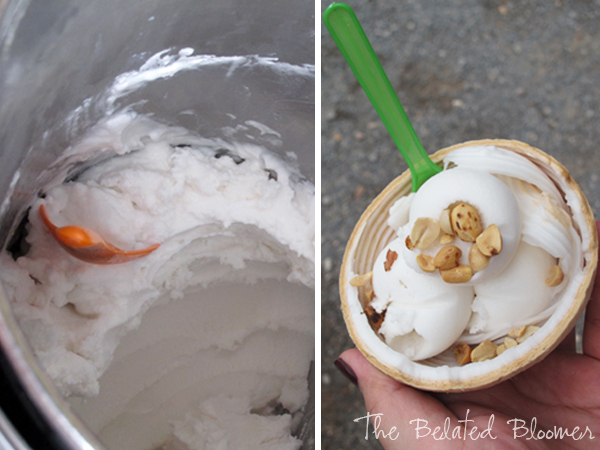 So when we spotted the Coconut Ice Cream stand, I had to have a cup! Milky, light, and refreshing with a few crunches from the toasted peanuts--it was puuurfect. This is my last shot of these glorious animals from our bus as we drove away. BUTTS and tails waving at us goodbye! 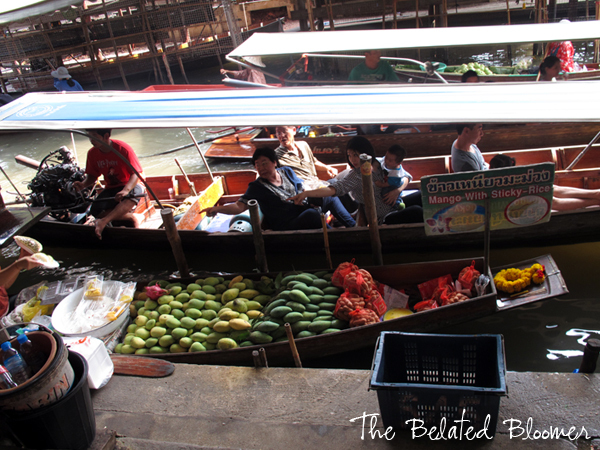 We got to ride these boats going to the dock and there were actual stores-on-boats selling fruits and other delicious products. 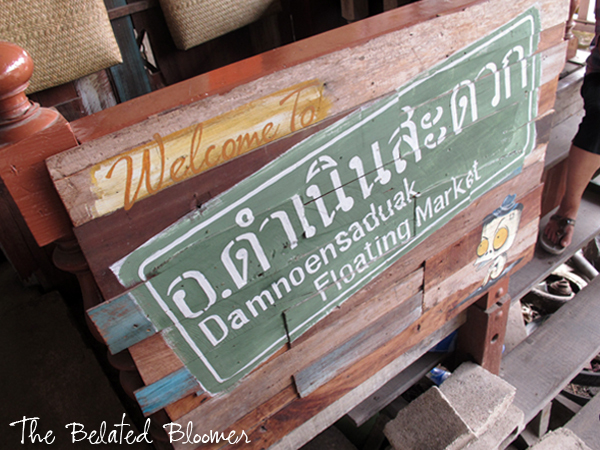 I didn't buy any because the boats splashed a bit and the water isn't the freshest, sooo...buy and eat at your own risk. I saw two men in different spots with these huge pythons. 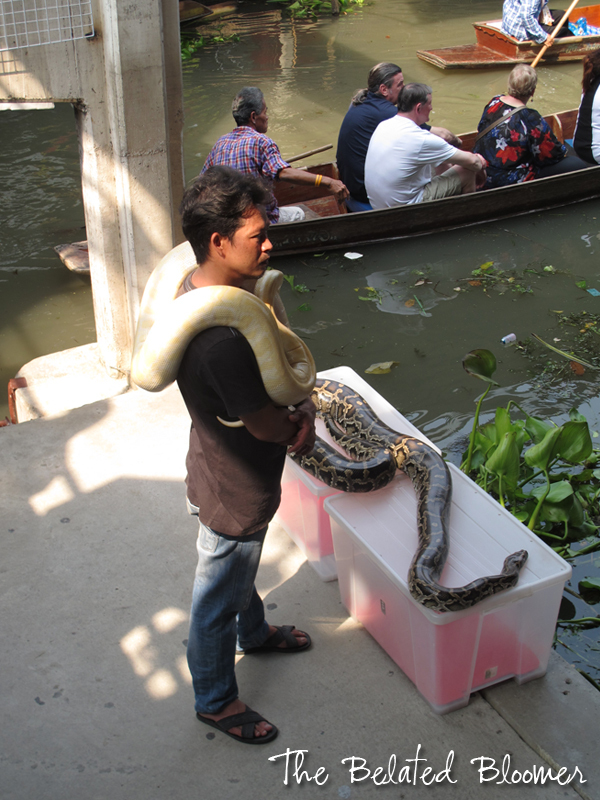 They charge a minimal fee for a photo with the snakes. While I have the occasional urge to go thrill-seeking, I was content to watch these reptiles from a safe distance. Haha! 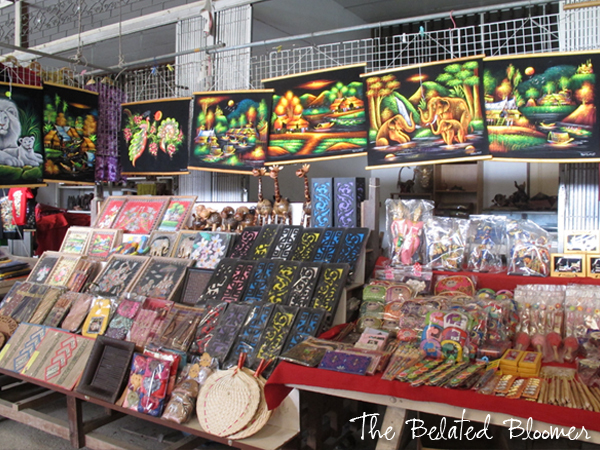 While the heat sapped half our energy, we had enough left to roam through the various areas and stalls selling clothes, souvenirs, fruits, Thai coffee, shoes and metallic knick-knacks. It was really fun to finally see and experience what I had only previously read about and saw in pictures. There's really nothing like travelling to open one's eyes to the world. The other half of this super fun day in the next post! 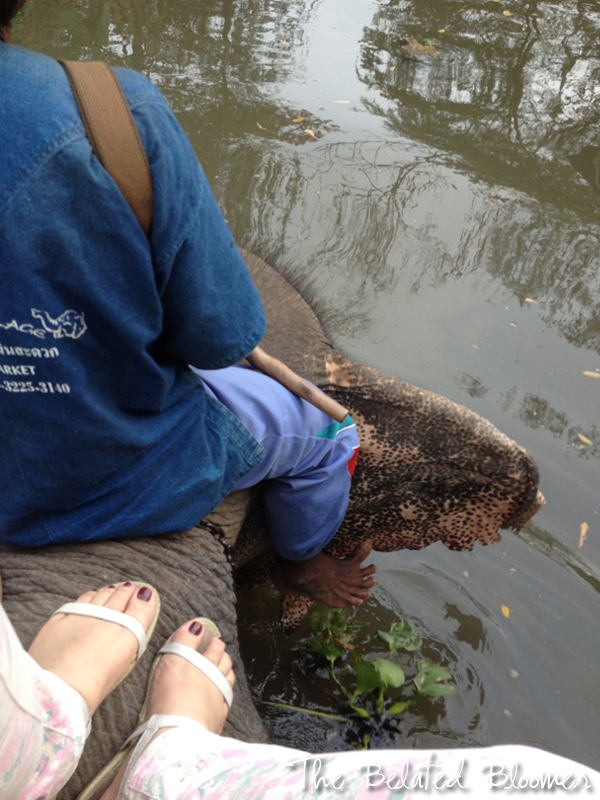 What a cool trip - riding an elephant! 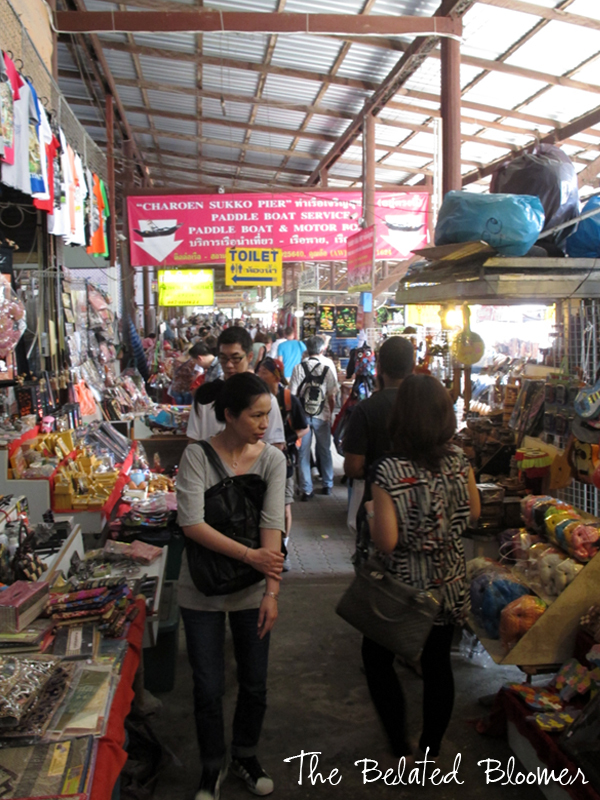 And all the market! So many things. Your photos are great - I oved seeing this. What an interesting trip. 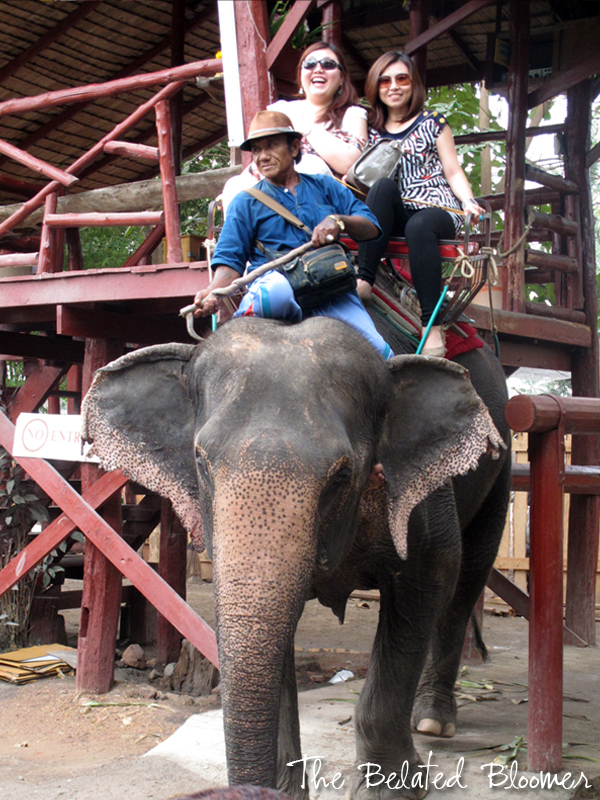 I can't believe you got to ride on an elephant! That's so cool! 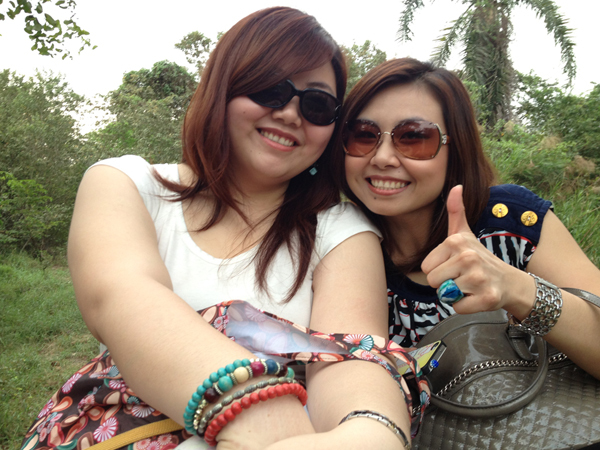 I want to go to Thailand too!!! 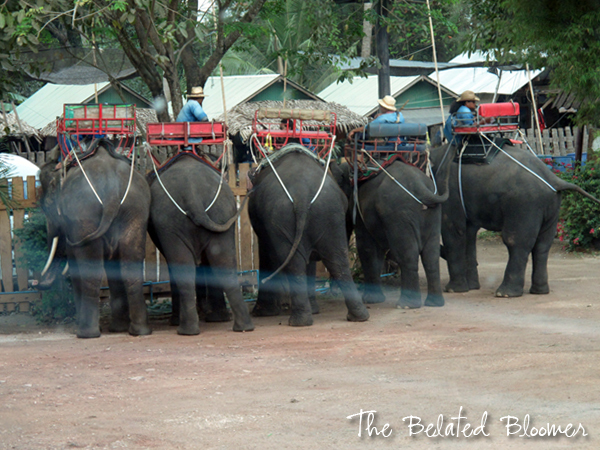 Looks like you guys had alot of fun :D. Was it scary to ride the elephant? 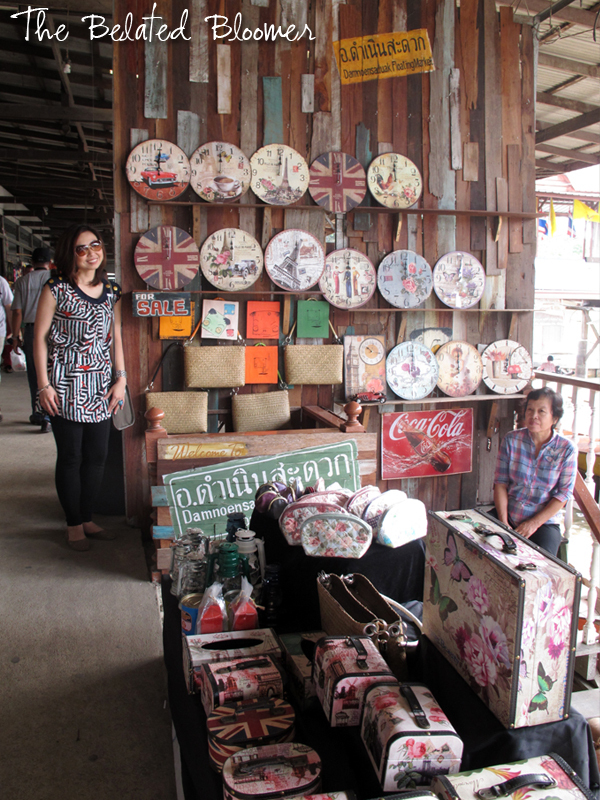 I want to do it when I go to Thailand. I want to go back too! :D It was a bit scary at first, but overall, it was a gentle ride. Hi Rochelle! I'm not sure about the location as we were part of a tour. 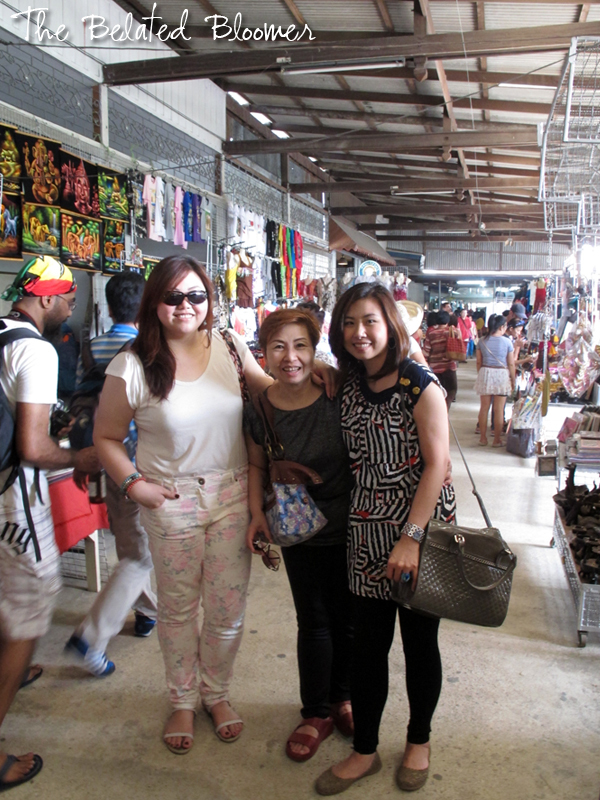 It was outside of Bangkok though, maybe an hour's ride. So amazing! Elephants are amazing! They are! They kind of scared me at first too. Haha! Hi! 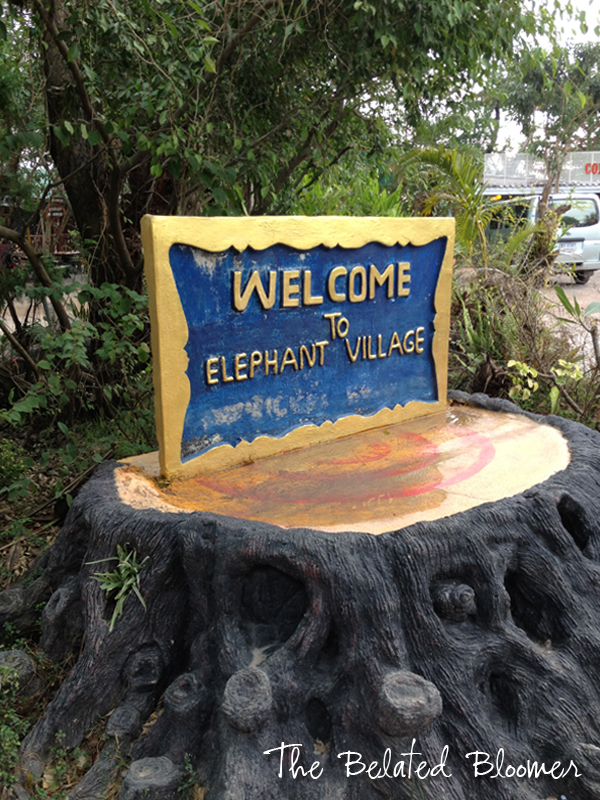 I just want to ask what's the address of this elephant village you went to... Cos when I google, a lot of locations are coming out. And I'm going to BKK next week so I'm planning my itinerary. I hope you take time to reply :) thank you so much! Wow! This is really amazing blog post and pictures. Thanks for sharing keep it up good work..